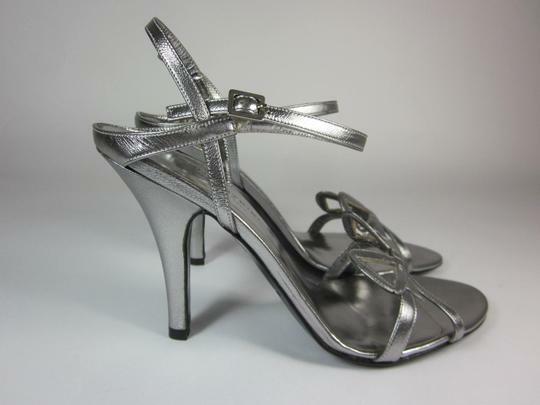 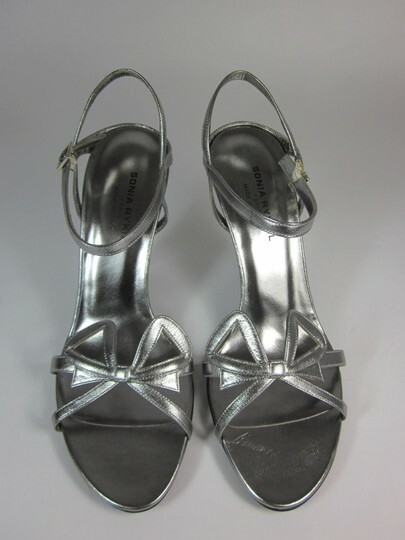 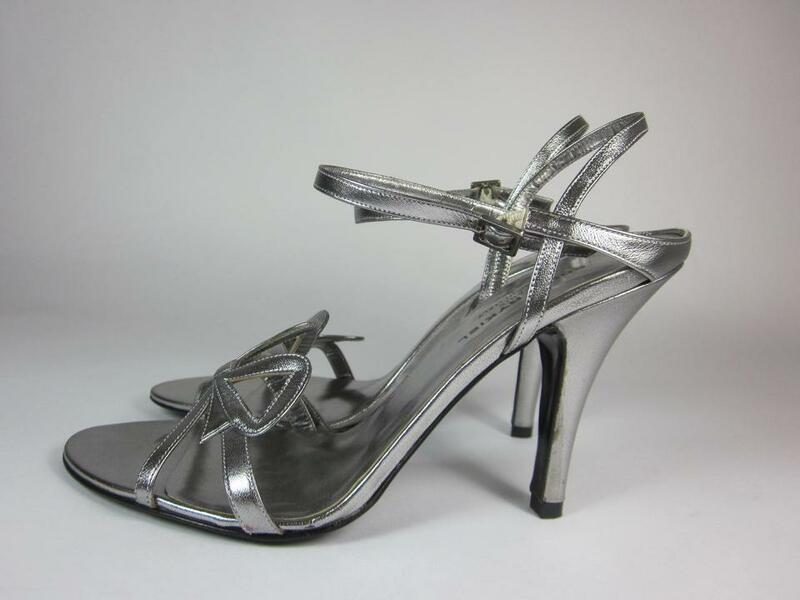 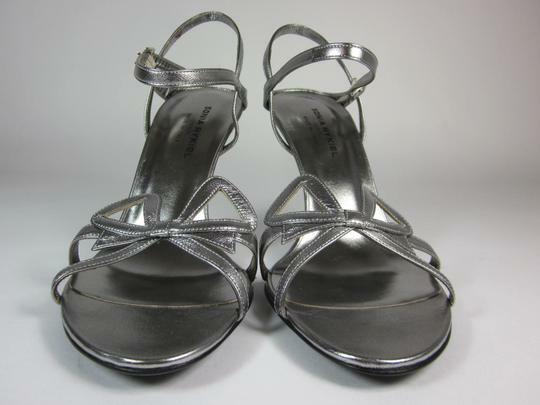 SONIA RYKIEL - Silver, Leather, Sandals/Heels accented by Bow at foot straps. 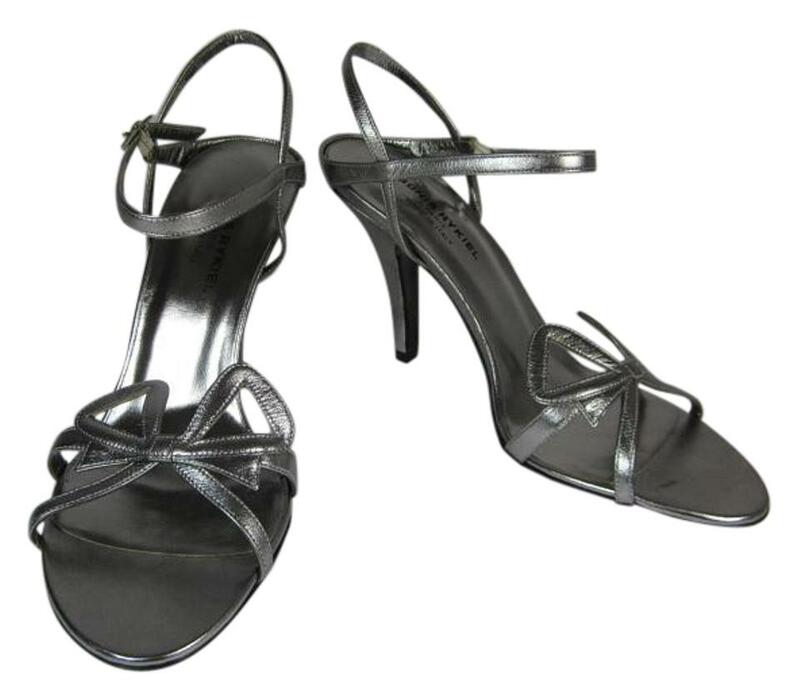 Finest Italian Leather; Adjustable, Ankle Strap with Silver Metal Buckle; Leather Lining, Foot-bed and Bottom Sole with Logo. 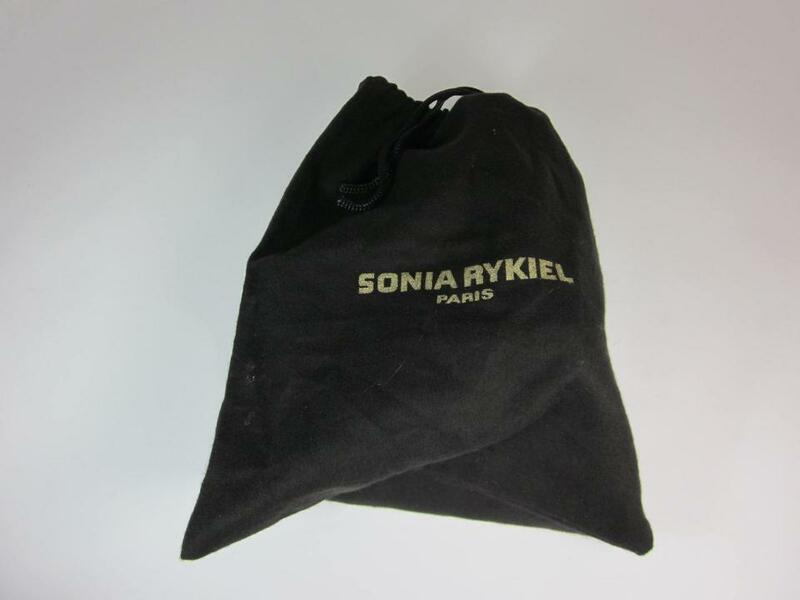 Comes with Rykiel Dust Bag, but no box. Handcrafted in Italy - Retail* $645. 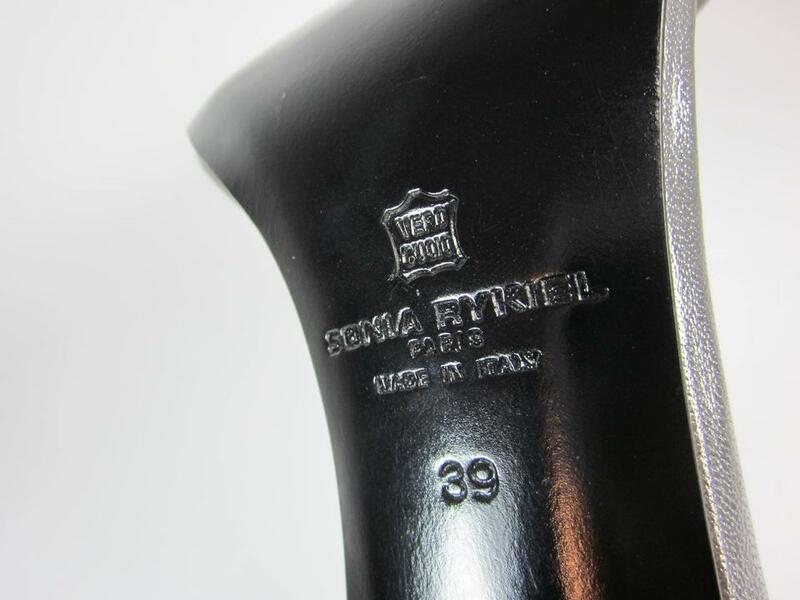 Size Tag: 39 EU/Italy (measures and converts to an 8.5M US). 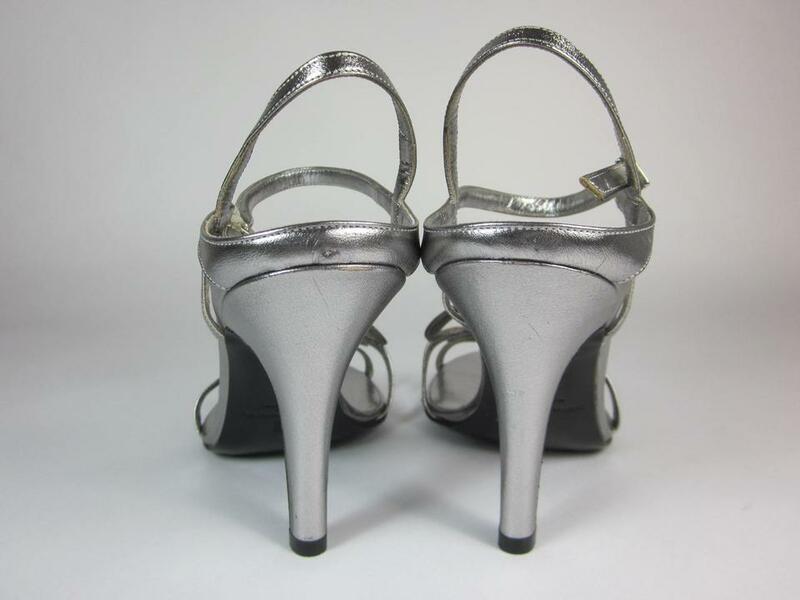 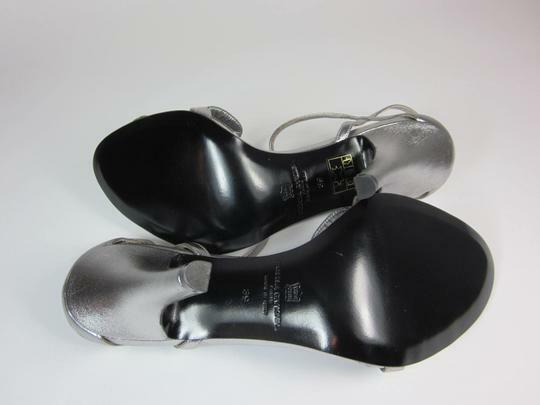 Please Check these actual, approximate Measurements for a Better Fit, then compare with your current shoes: Length - 95/8" (foot-bed: heel to toe); Width - 33/8" (foot-bed: at ball); Heel Height - 4".